The first thing I will say upfront is: if you love Ayreon and are expecting something in that same vein, you're probably going to be disappointed with this album on some level. That was my case with regard to Lucassen's Lost in the New Real. I guess I should have realized that because it was issued under Lucassen's name instead of under Ayreon. Admittedly so, how can one not compare any project Lucassen writes under with his flagship project? It's inevitable to do so and reviews are subjective and rarely incorporate impartiality. I love the concept this album covers: a sort of dystopian view of a future human race and it's relationship with technology taken from the viewpoint of someone who was frozen 200 years earlier in order to preserve themselves for a time when technology advanced enough to cure this person's disease. Lyrically, Lucassen does an admirable job putting these concepts together; an area he seems to improve upon with age. The downside to this album are the compositions themselves. There is very little room for instrumental development and the album comes off as an attempt to cater to the more accessible crowd. Furthermore, the music in many cases sounds like it's following a formulaic approach that Lucassen has successfully developed over the years; sort of like a "connect-the-dots" approach to music composition. It really doesn't seem to say anything new. Basically, the album comes off as a cheap ripoff of the more successful Ayreon project. As usual, it is impeccably produced. The other downside (and this is even explained in the liner notes), is that the album itself is just the first disc. 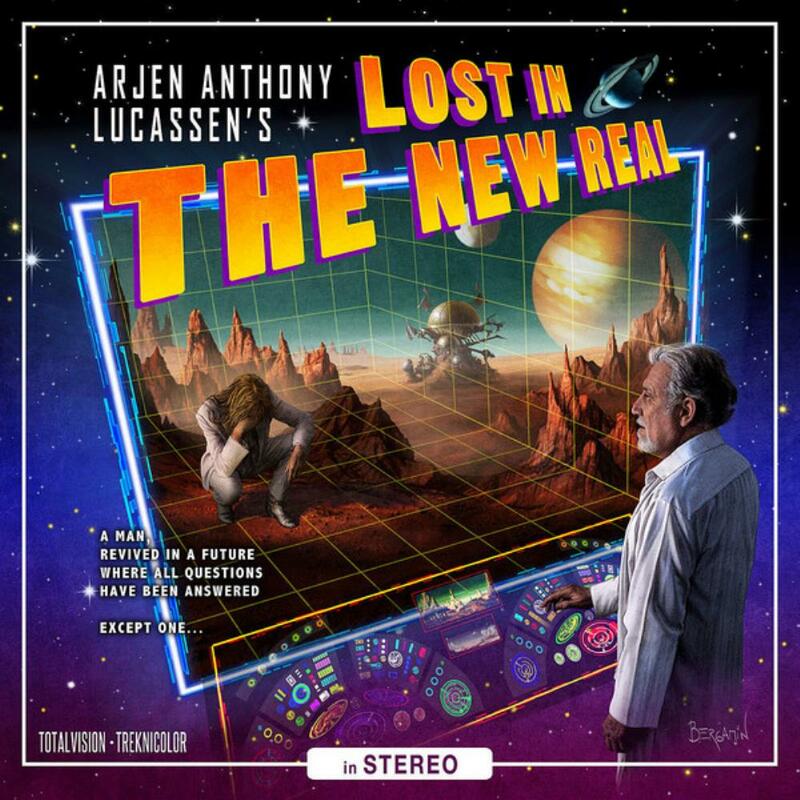 The second disc contains songs that Lucassen didn't see fit to match in with the concept, but still covers similar subject territories. It should have been labeled as a bonus disc and marketed as such. Without reading the liner notes, one could easily find the whole thing a rather disjointed affair. In addition to what could basically be called an entire disc of filler, Lucassen attempts to make a couple of horrible covers. His version of Pink Floyd's Welcome to the Machine is ridiculous; and of all people, I thought he would be the most capable of pulling off a respectable cover of this song since it has the "machine thumping" aspects already perfected on many Ayreon songs. A mostly disappointing release. Lyrics and concept alone are worthy of four stars. Music composition is worth two stars, so I'll meet them in the middle and give this three stars. It has it's good moments, but is hardly essential.